Why is Amazon so strong in U.S? Why is Adobe Reader the most preferred document reader? Why cannot any firm compete with YouTube? Why is EBay ruling the online auction market? Why is Windows No 1 operating system? What are networks: A network is a system of inter-connected nodes. The nodes can be people (e.g., Stanford’s alumni network), companies (e.g., NBC’s network of affiliated TV stations), places (e.g., the network of cities served by British Airways) or things (e.g., computers on a local area network). In platform mediated networks, the nodes are called network users. 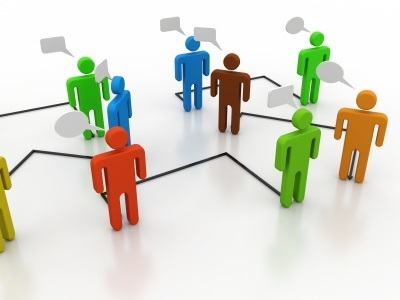 Network users are independent actors who participate in a network in order to interact with each other. Types of networks: Networks can be one sided – homogenous users who all perform same functions. For e.g. although stock trade has buyers and sellers, these roles are transient. Two sided networks have two distinct user groups whose respective members consistently play the same role in transactions. Examples of two sided networks include credit cards, comprised of card holders and merchants; travel reservation agencies (agents and airlines) and video games (games and developers). Some networks are three sided. E.g. YouTube link three sets of network users: content consumers, third party content providers and advertisers. Members of each group exhibit a strong preference regarding number of members in other groups (cross sided network effects) as well as in their own group (same sided network effects). Platforms: Many networked markets are served almost exclusively by a single platform. Examples include fax, DVDs, PC operating system (Windows), document presentation formats (PDF), local real estate multiple listing services, and online auctions (eBay). Other networked markets support rival platforms such as credit cards, video game consoles, online recruitment sites, and instant messaging services. Platforms are not necessarily created and maintained by a single firm. We distinguish between two roles: platform provider and platform sponsor. Platform providers mediate network users’ interaction. Platform sponsors do not deal directly with users; rather, they hold rights to modify the platforms’ technology and determine who may act as platform providers. Single firm may play both the roles (e.g. Skype, Monster.com, and Xbox). Two platforms are part of same networked market if changing the cost to users of affiliating with one platform influences the volume of transactions mediated by the second platform. E.g. Visa, MasterCard and American Express are three different networks and together they comprise a networked market: U.S credit card industry. Factors influencing Platform Structure: Whether the market is a natural monopoly, multi-homing costs, the strengths of network effects and users’ preference for differentiated platform functionality. 1. Natural Monopoly: Natural Monopolies alone can explain winner takes it all outcome (WTA) but since factor #1 is rare, we will rely on other three factors to forecast the platform structure. 2. Multi-Homing Costs: If it is expensive for users to affiliate to multiple platforms, they will be more inclined to choose a single platform. Homing costs include platform specific investments, out-of-pocket expenses and inconveniences born by network users due to affiliation with a platform. Multi-homing costs are the sum of all homing costs incurred when a network user affiliates with multiple platforms. 3. Network Effects: The likelihood that the network will be served by a single platform increases when users value the ability to interact with large number of other users. I.e. when network effects are positive and strong. Network users will insist access to some parties (like family member and friends) while access to some users may have negative value. (E.g. telemarketers, stalkers). In two sided networks, cross-sided network effects are usually positive but can be negative as well (consumer reactions to advertising). Same sided network effects can be positive (benefits of swapping video games with peers) or negative (e.g. desire to exclude rivals from an online business-to-business market place). Network effects can be strong when transactions involve heterogeneous demand and supply, users require novelty (DVDs or video games) and users need mobility (acceptance of credit cards across geographies). 4. Platform Differentiation: A networked market is more likely to be served by single platform if users have highly homogenous needs. If users have diverse preferences and if no single platform is able to profitable satisfy all the needs, then the market will be served by multiple platforms. The DVD market is Winner takes it all market. Multi-homing costs are high for consumers because it will be expensive to own multiple players to handle incompatible formats. Similarly multi-homing costs are high for studios because incompatible formats will boost retailers’ inventories. Cross-side network effects are strong for both the sides: consumers’ value access to wide variety of titles and studios realize scale economies when they can sell to more consumers. Opportunities for technical differentiation are low. This shows that the current battle: Blu-Ray vs. HD DVD is likely to end with victory of one format over the other. Adobe’s Portable Document Reader (PDF) consists of readers and writers. Multi-homing costs would be high for writers in presence of multiple universal document presentations. However readers’ multi-homing costs would be low since those formats are easily available and simple to operate. Readers’ preference for variety is also very strong. Neither side has strong preference for differentiated functionality which is the case with Adobe. Enhanced functionality can be provided by premium versions. Hence the outcome will be WTA. The above two examples shows how the four factors discussed jointly determine the outcome of the platform structures. Chand is currently pursuing PGDM at Indian Institute of Management, Kozhikode. 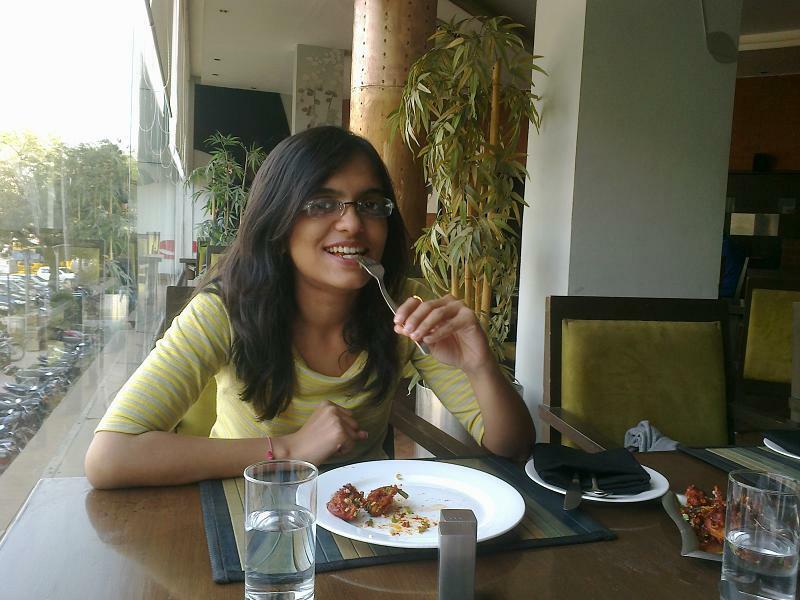 She has worked with Deloitte Consulting U.S India Pvt. Ltd. for one year. She was awarded by Mr. Narendra Modi for exceptional performance in XII standard. She is an ardent fan of Ayn Rand and J.K.Rowling.